The solar energy engineering and commercialization graduate program at ASU offers students the opportunity to harness the power of the sun and the possibilities that come from it. With monumental growth in housing, commerce and urbanization, solar energy is the fastest growing commodity to provide energy and power in the U.S.
More than a quarter-million employees hold positions related to solar energy in the U.S. alone. At ASU, we pioneered a program offering advanced, interdisciplinary education to students with backgrounds in science, technology, engineering or mathematics (STEM) fields, and that helps pave the way for future career success. 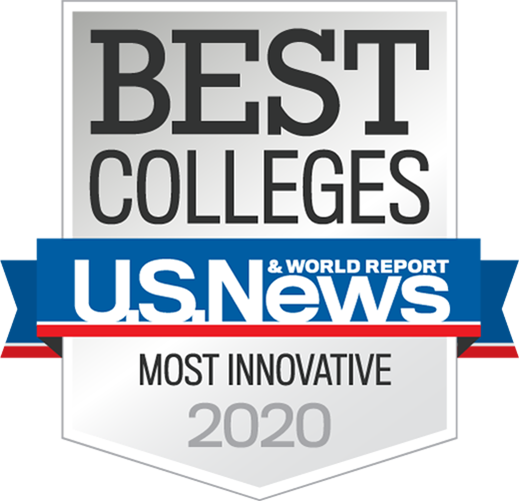 While other similar graduate programs have started to emerge, ASU’s stands out because of our strong partnership with industry, resulting in a curriculum that remains current with the industry’s rapidly changing technologies and policies, and opportunities for extra-curricular professional development. Across the USA there are over 340 Professional Science Master’s programs at over 157 institutions, according to the National Professional Science Master’s Association (NPSMA). A relatively new degree model, the Professional Science Master’s (PSM) is aimed at students who are interested in graduate work that will advance their career, but not necessarily in a research-oriented M.S. or Ph.D. This cutting-edge program blends the understanding of solar energy technologies with the policy, finance and project management curriculum necessary for successful development and commercialization of the solar enterprise. With options to finish in 12 months or attend part-time and a focus on applied learning with real-world projects, the goal is to prepare students for long-term success in this crucial industry. The 12-month option requires fall, spring and summer enrollment to complete the 30-credit hours, including a week-long energy policy seminar in Washington DC and a culminating applied project. Although the program is geared towards providing an intensive 12-month experience leading to the PSM degree in 12 months for full-time students, we are also accepting applications from part-time students. Part-time students may work at their own pace, taking at least one course per semester. The maximum time to graduate from the semester of admission is six years. Check out the “Our Graduates” tab for an idea of what our alumni are doing! *Priority deadline for Fall 2019 admission is February 3, 2019. Eligible applications received by that date will be given first consideration for available fellowship funding. The program has a rolling application deadline. Tempe, Some courses can be completed online. Degree. Minimum of a bachelor’s degree (or equivalent) or a graduate degree in any physical science, technology, engineering, or mathematics (STEM) field from a regionally accredited college or university of recognized standing. GPA. Minimum of a 3.00 cumulative GPA (scale is 4.0 = A) in the last 60 hours of a student’s first bachelor degree program. English Proficiency Requirement for International Students. Students whose native language is not English should achieve a minimum score of 80 on the Internet-based Test of English as a Foreign Language (TOEFL). Other details regarding English proficiency requirements are described on the Graduate College website: (https://students.asu.edu/graduate/proficiency). GRE. All applicants should take the general Graduate Record Examination (GRE); a subject-specific GRE is not required. Some exceptions may be made for those with significant industry experience. Please contact the Program Manager for more information. Official Transcripts. One set of official transcripts from every College or University from which a degree was earned should be sent directly to the ASU Graduate Enrollment Services. Letters of Recommendation. Three Letters of recommendation are required for admission, in addition to a personal statement. Additional information regarding admission can be found at: https://students.asu.edu/graduate/admissions. The program assesses a fee in addition to the ordinary tuition charged for graduate study at ASU. In addition, residents of 14 western states are eligible to apply for in-state tuition rates, resulting in over $15,000 savings throughout the course of the program. Additional fellowship funding may be available. All admitted students are encouraged to complete an updated FAFSA and contact the Program Manager for a link to the PSM SEEC Fellowship application. *Priority deadline for Fall 2018 admission is February 5, 2018. Eligible applications received by that date will be given first consideration for available fellowship funding.